Y'all probably already know I'm a jeans and t-shirt and comfy shoes kind of gal. I tend to stick to basics and just add fun accessories. I love the recent trend of military style jackets or vests. How much am I kicking myself that I sent my army green jacket (from Kohl's) to Goodwill a couple of months ago because I hadn't worn it in, oh, two years? Yeah. Kick, kick. But really, here in southernish Texas I might pass out if I try and wear even a light jacket, so a vest is much more versatile. I paired it with a basic black t-shirt, jeans and leopard flats for a bit of fun. Okay, this outfit didn't quite turn out like I planned it in my head and we were rushing to get to church, so I just soldiered on. 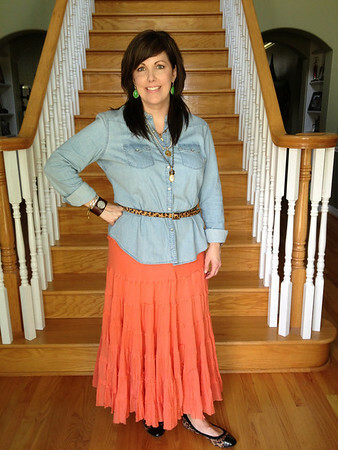 Maybe if I had worn a thicker belt or worn the denim shirt as a jacket with a tank things would have been better? And I look annoyed in these photos, but I don't think I was (of course anything is possible). 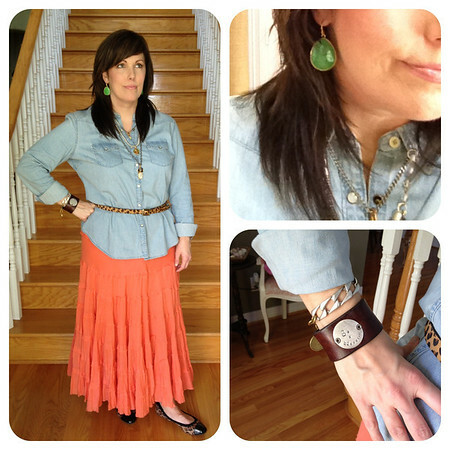 And finally, back to my go-to look, jeans, cardigan & accessories. 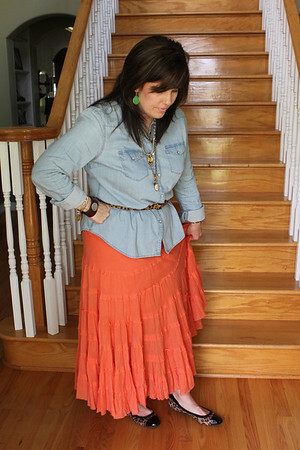 I'm linking up with Lindsey's blog, be sure to pop over there for tons more fashion inspiration! 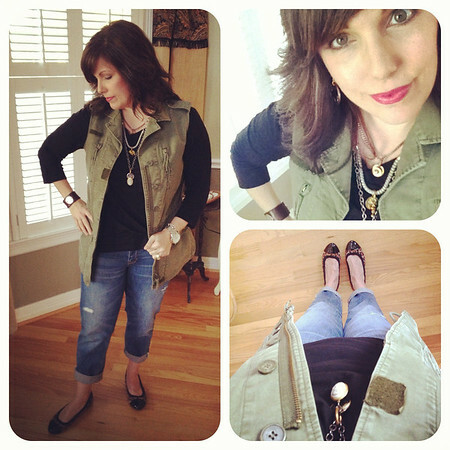 LOVE the military vest and all the accessories! Thank you! I think that's my favorite too--I'll probably wear it a lot. I love that military vest. And that last outfit? So cute and chic! 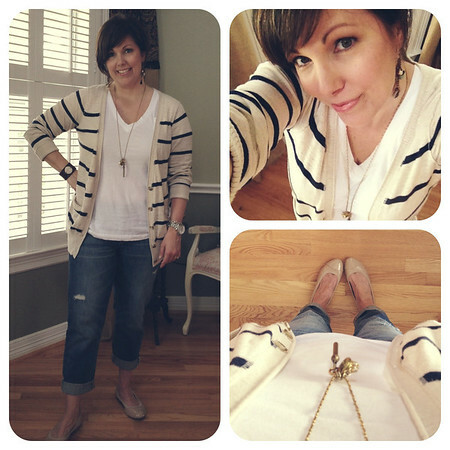 I think now I need a striped cardi just like it! Love the military vest and the tee with striped sweater. My kind of classic and comfy all in one. Thank you! I'm all about comfort--well, I try for cute comfort. :) I appreciate you stopping by for a visit! Thanks so much! Glad you're following along!